It was complete disbelief for Jeremy Lawyer after realizing he'd won the Grand Lake FLW Tour. Jeremy Lawyer figured it would take a 20-pound stringer today to give himself a chance to win the Grand Lake FLW Tour. He figured day-3 leader Bryan Thrift would surely catch a decent weight just by getting out of bed this morning. Turns out 13 pounds, 14 ounces is all it took. Nothing more, nothing less. That�s exactly what Lawyer needed when he hauled his fish on stage this afternoon at Wolf Creek Park in Grove, Okla., roughly an hour�s drive from his home in Sarcoxie, Mo. And 13-14 is what his limit weighed, giving him a 62-12 aggregate and putting him in a tie with Tour rookie Michael Matthee, who�d weighed in 17-13 a few minutes prior. 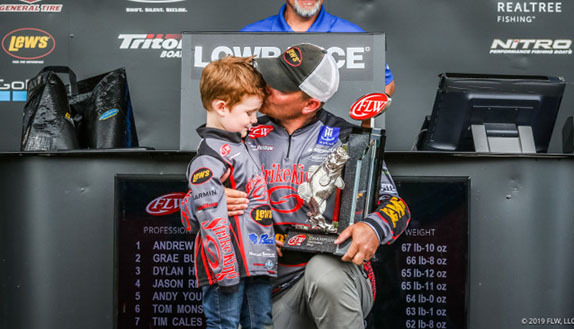 With Thrift still left to weigh in (and needing 9-12 to clinch the win), Lawyer was credited with the lead by virtue of FLW�s day-4 tiebreaker, which resolves ties based on an angler�s day-3 standing � Lawyer was in second place after Saturday and Matthee fourth. When Thrift only delivered one fish for 4-06, Lawyer was left in disbelief at having won his first Tour title essentially in his backyard. It�s believed to be the first time in Tour history that a tiebreaker has been applied to determine the winner. 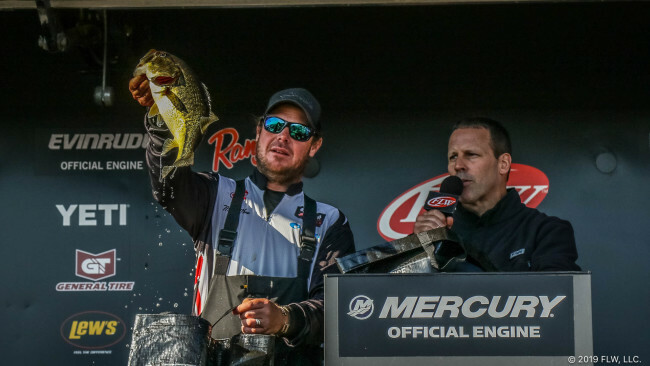 According to BassFan research, the previous smallest margin of victory in a full field, four-day cumulative weight Tour event (FLW went to that format in 2010) was three ounces set in 2012 at the Potomac River, where Scott Martin edged Justin Lucas. 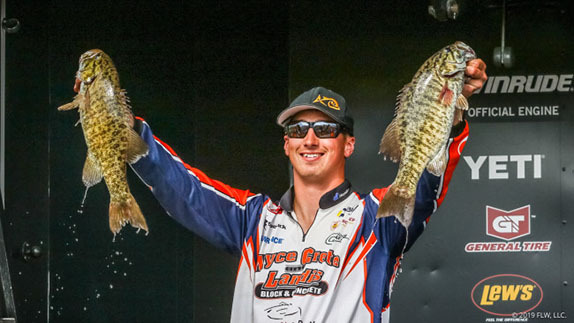 Anthony Gagliardi won the 2014 Forrest Wood Cup at Lake Murray by one ounce over Scott Canterbury. There were just 83 limits caught at Grand this week. Lawyer took some pride in knowing he was the only competitor to catch five each day of the event, but the gravity of everything was still sinking in a couple hours after it happened. And knowing he had nowhere near 20 at day�s end, Lawyer had resigned himself to thinking he was fishing for second place. Instead, that spot ultimately belonged to Matthee, a native of South Africa who competed in the Forrest Wood Cup last year as a result of being the top finisher in the International Division at the 2017 Costa FLW Series Championship. In just his fourth Tour event, Matthee found his comfort zone at Grand with a spinnerbait, a commonly-used lure in his native country. When Matthee was asked if he�d have rather returned to the water for a sudden-death fish off against Lawyer, he didn�t hesitate. 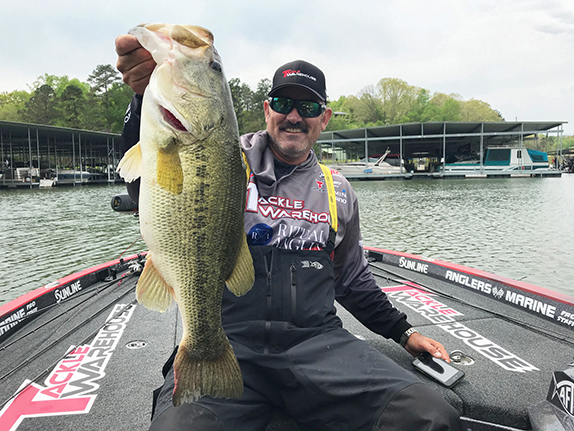 He referenced the 2011 Toyota Texas Bass Classic at Lake Conroe, where a tie between Keith Combs and Mike Iaconelli was settled in sudden-death fashion with Combs prevailing. For obvious reasons, Lawyer preferred the way it shook out. South African angler Michael Matthee came within an ounce of winning at Grand today. 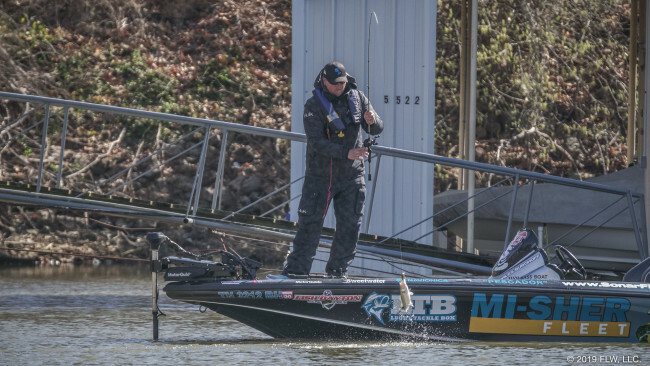 Miles Burghoff continued to impress as a Tour rookie, catching the day�s biggest stringer (18-12) to finish third with 61-03 and move into second in the Angler of the Year points with three regular-season events remaining. John Cox caught 17-05 to rebound from a two-fish showing on Saturday and finish fourth with 59-09. Bradford Beavers tallied 13-14 today and locked up fifth with 58-04. Faced with challenging conditions all week (receding water, shifting winds combined with a lake full of pre-spawners), Lawyer kept it simple by relying on his many years of experience at Grand. This was his 10th FLW event there and his sixth top-10 finish. He said today�s calm and sunny weather was the curveball he was looking to get thrown at the other finalists. He said all 20 of his fish were caught on a spinnerbait. He had various versions tied on for different conditions and scenarios, but where he was putting them was what mattered most. �Behind boat docks mainly � somewhere a fish never sees one,� he said. Additional details about his winning pattern and of those in the top five will be published later this week. Lawyer won a Central FLW Series last fall at Lake of the Ozarks in his native Missouri, but he said this one was a much bigger thrill. Matthee went to bed Saturday night worried that the cold temperatures would push the fish he�d been targeting off toward deeper water. �If they did, I�d struggle because I like the shallow bite,� he said. When he landed his third fish, a 4 1/2-pounder, his worry receded. While others trained their focus on, around and behind docks, Matthee, who runs a cabinet manufacturing business in South Africa, was mostly dialed in on timber and rocks. All of his weigh-in fish fell for a spinnerbait as well. 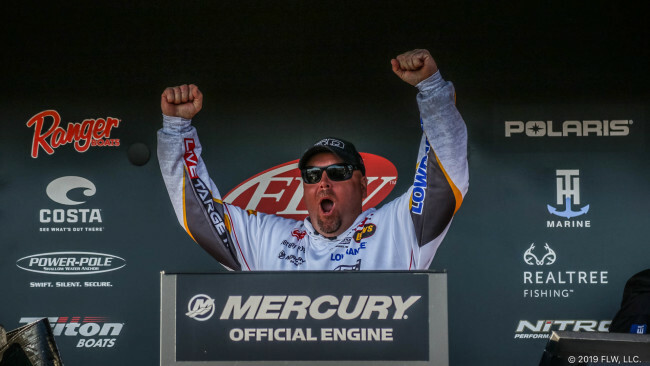 Since finishing 162nd at Sam Rayburn Reservoir in the season opener, Matthee�s finishes have improved each tournament. Miles Burghoff hauls in a small keeper today. Burghoff, whose worst finish this year is 36th (Lake Toho), also relied on a spinnerbait for the bulk of his bites, but the key over the past two days was fishing areas he figured others overlooked. He also targeted smaller pockets and today that strategy produced a 6-plus pound kicker. Finishing seventh was a frustrating conclusion for Thrift, who was the runner-up in the 2013 FLW Tour stop at Grand. He caught his only fish early on and got the vibe things would go his way, but after camping in one area for nearly half his day, he began scrambling. * Winner as determined by FLW tiebreaker that resorts to an angler's standing after day 3.